Roger Abbey Taylor has recently bought a famous boat from the 1980s – “Midnight Cocktail” – which he races with Janet Pepper. A very successful boat in its heyday, it was one of the first to experiment with carbon fibre as a building material. The boat has been restored by previous owners and now claims Datchet as its home. Roger, a member for just a couple of years, has quickly settled into the fleet and is now our Fleet Trophy Manager and Senior Scoring System Consultant. Here Roger tells us about the racing options for new Flying Fifteen owners. You would like to begin racing? 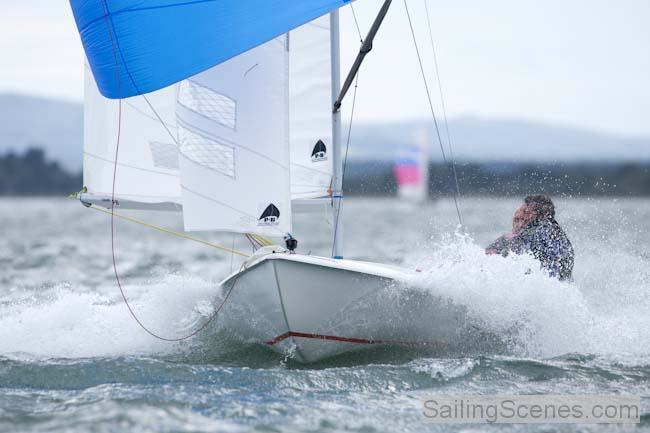 The Flying Fifteen fleet at Datchet is a great place to start. 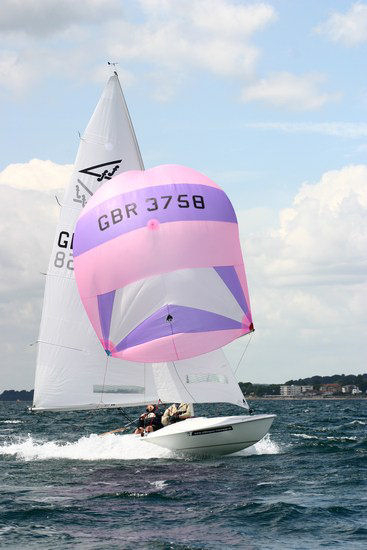 Both the Club and the on-site sailing school run courses as an introduction to racing. The Club’s Flying Fifteen Fleet has an excellent “Loan Boat” Program, where you can try a Flying Fifteen for yourself. It’s a sensational way to take a test sail for yourself, with lots of help and assistance on hand to make it go well. Quite commonly, people like to use a Loan Boat a for a a whole 3 month race series, so they can experience the boat in all sorts of conditions. It’s a really excellent idea and you can read about it on the “Trial Sail” tab of this website. There are several levels at which you can start with a Fifteen…. The lake is open every day except Monday, and new members often get to know their boats by cruising on Saturday and Sunday afternoons. However, large as the lake is, you’ll soon want to start to think about doing some racing. A very popular, light hearted racing program happens in the summer months on Wednesday evenings. 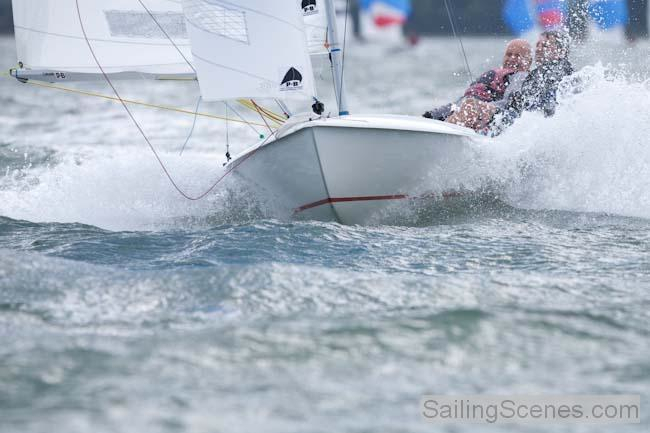 It is mixed fleet racing and 30-40 boats usually take part. It has been so popular that the Club is trying to launch a similar race format on a Saturday afternoon. This is a slightly more serious race format, and is the main event for Flying Fifteen racing. There are two races each Sunday at 1030 and approximately midday. There are four series in the year, so approximately 13 weeks and 26 races. Your best 14 race results are counted. The series are supported by a full set of trophies and glassware, and there are a special set of trophies for Silver category boats. We award a great trophy for ‘Crew of the Year’. Races are also scored against personal handicaps. Additionally, each time a Sunday occurs on the 13th of the month, we race for the Castle Cup. Now that we have mild winters (! ), it seems a pity not to get use out of your Flying Fifteen all through the year. Datchet has always had a strong following in the winter and many teams sail with us January to March, and sometimes October to December as well. The Club welcomes Winter Members and a choice of special package deals is available. Check them out on the “downloads” page. − The first each year is the Winter Warm Up, which takes place each Sunday in February. 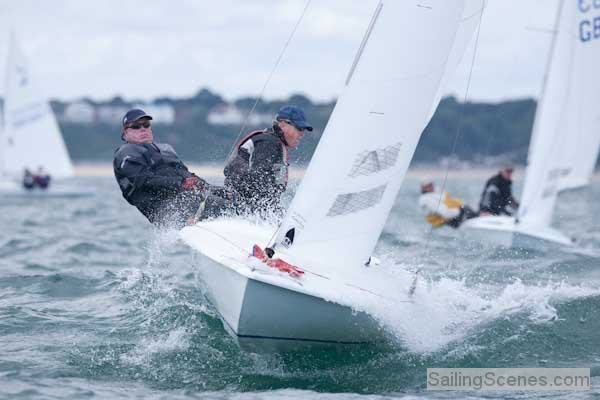 The Flying Fifteen Fleet also schedules two light hearted regattas of its own. The “Ffrolics” is an occasional light hearted weekend, with more entertaining race formats on the first day. We also have run “The Hughes Regatta” to celebrate the 80th birthday of our fleet elder, Richard Hughes, who actually is still racing today. In the Hughes Regatta, spinnakers are banned and each boat has to have an FF-newcomer aboard. We get huge turnouts for this event.